Healthcare Advocacy: that the NCAA, The Universities and the Insurance Companies support ex-Collegiate Athletes in regaining as close to 100% health as possible. CAG understands and respects the fact that the NCAA, each of the respective Universities, and the Insurance Companies all have a stated position as it relates to Healthcare for NCAA Collegiate Athletes. CAG also realizes that each University is different and has its own approach to Healthcare for their respective Collegiate Athletes. 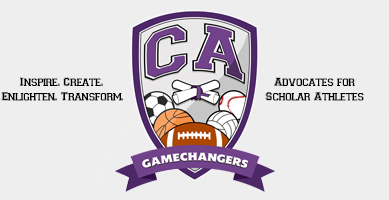 CAG is advocating that after spending 4 years of being dedicated and committed to their respective sports, teammates and schools, many Collegiate Athletes continue to need treatment for health-related problems, or surgery for an injury that they received “on the field” or “on the court” while participating in an activity, practice or game when on athletic scholarship. Unfortunately, most of these ex-Collegiate Athletes cannot afford private Healthcare. CAG thinks that the NCAA, The Universities and the Insurance Companies have a huge opportunity to do a better job of supporting these ex-Collegiate Athletes. As individual cases are presented to CAG, we will do our best to help these ex-Collegiate Athletes and their families find information and resources to assist them in creating a solution for each of their Healthcare concerns. We believe regaining as close to 100% health as possible is paramount in all Collegiate Athletes successfully transitioning into the sustainable life that they deserve.